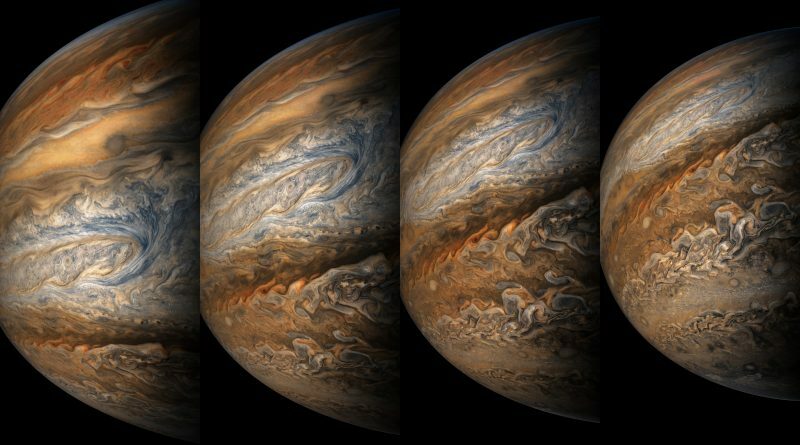 NASA’s spinning Juno spacecraft has its seventh science flyby over Jupiter’s cloud tops on Friday, September 1st at 21:49 UTC, coming as close as 3,500 Kilometers to the planet’s colorful cloud tops. 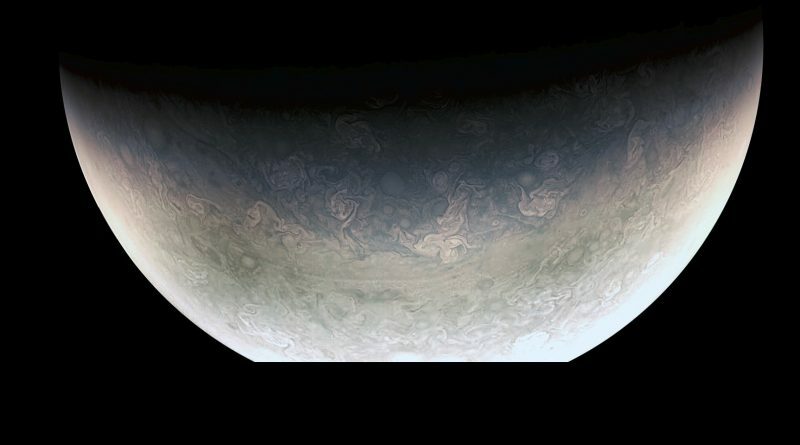 NASA’s Juno spacecraft completed the mission’s fifth science pass on Friday, coming within 4,000 Kilometers to Jupiter’s tantalizing cloud tops to gather another set of science data probing the gas giant’s atmosphere, internal structure and magnetic field. 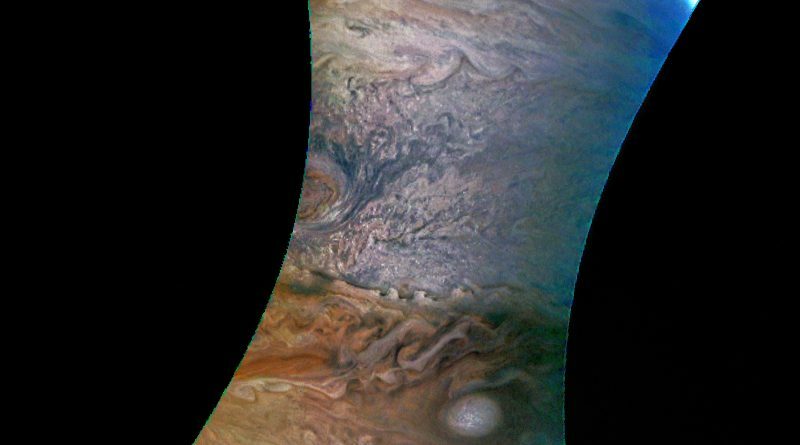 NASA’s Juno Spacecraft on Monday completed its fifth close orbital flyby of Jupiter, the fourth fully successful science pass of the mission collecting data on Jupiter’s enigmatic atmosphere and probing the gas giant’s interior. 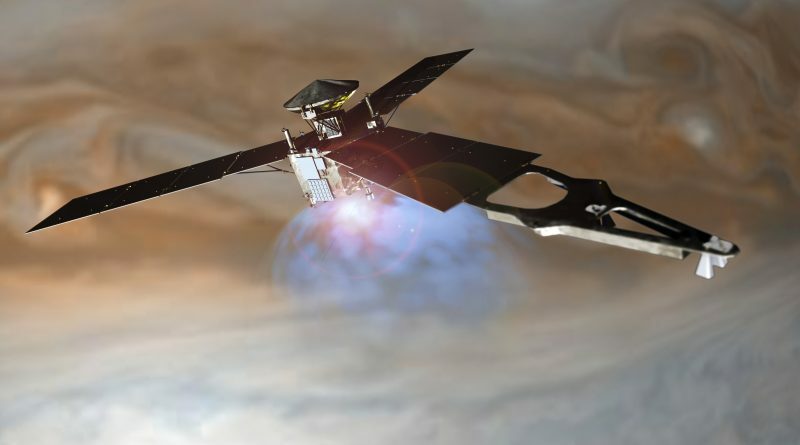 NASA’s faraway Juno spacecraft will remain in a highly elongated orbit around Jupiter for the remainder of its mission as engineers opted against performing a burn of the craft’s rocket engine that is considered too risky after a series of valves within the propulsion system had shown a suspect signature. 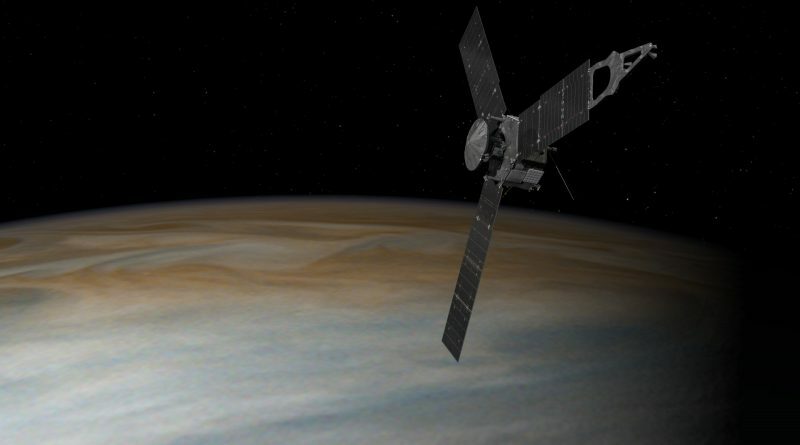 NASA’s Juno spacecraft brushed past Jupiter on Sunday, marking the mission’s first operational science pass with seven of the craft’s instruments active as the probe zipped past the Gas Giant at a speed over 200,000 Kilometers per hour. 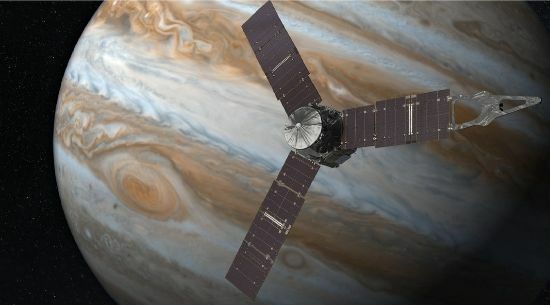 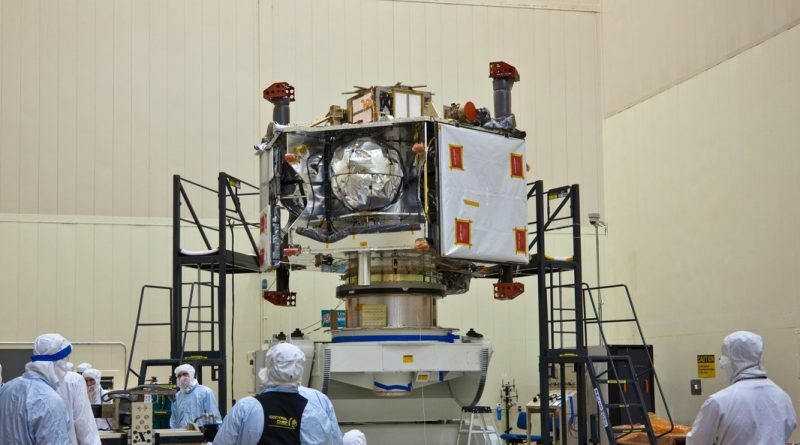 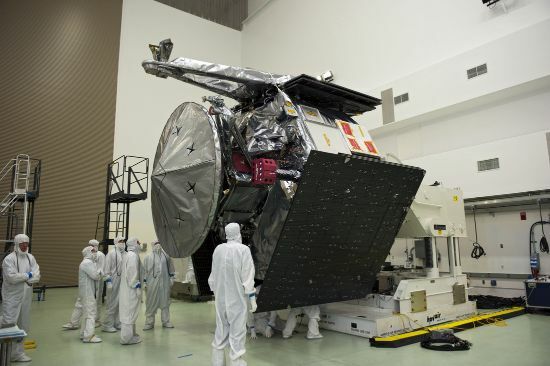 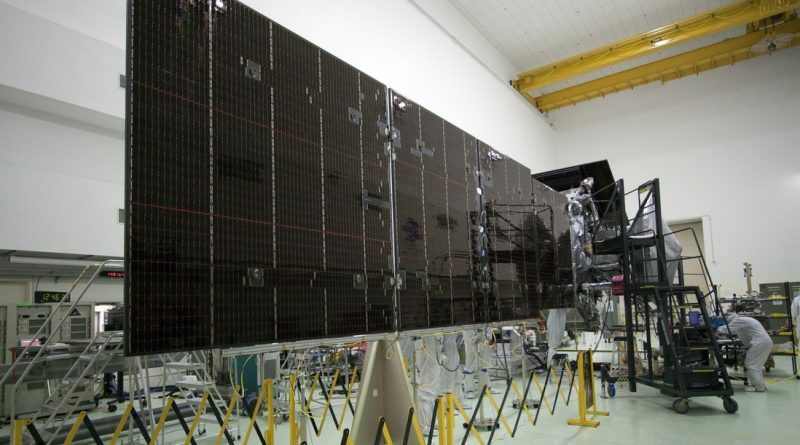 NASA’s Juno spacecraft has been recovered from an unplanned Safe Mode and is entering preparations for a December 11 flyby of Jupiter while teams continue studying a pair of technical issues on the spacecraft while it continues orbiting the Gas Giant in a highly elongated orbit. 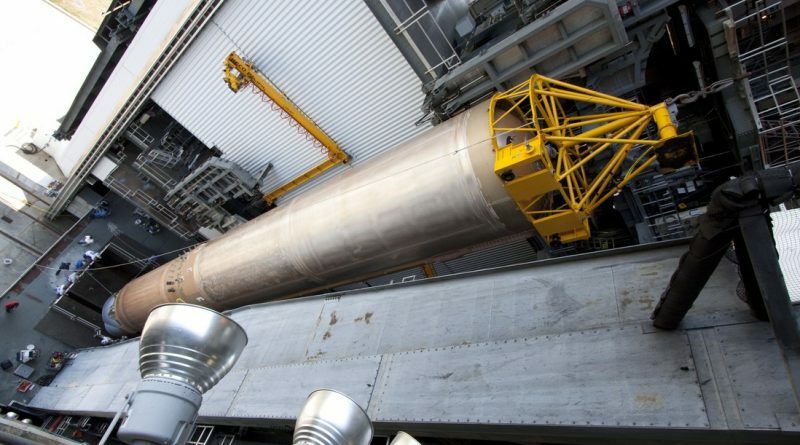 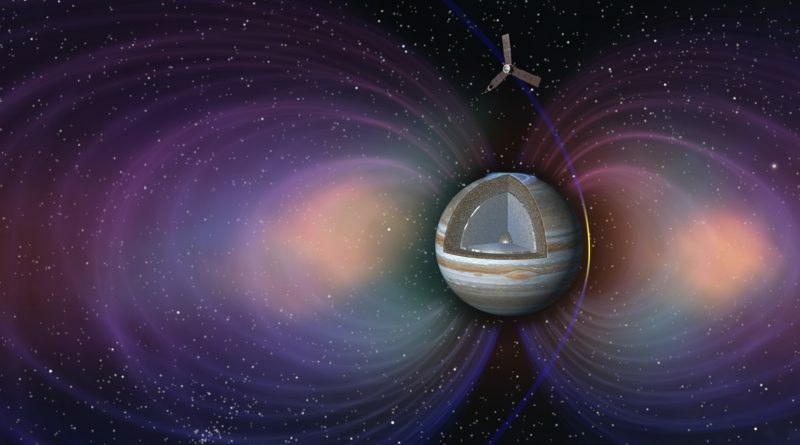 Instead of spiraling down into a two-week science orbit around Jupiter, NASA’s Juno spacecraft will have to remain in a highly elliptical orbit for at least one more lap around the gaseous world due to a suspect signature seen in the preparatory steps for the critical main engine burn originally planned for next week. 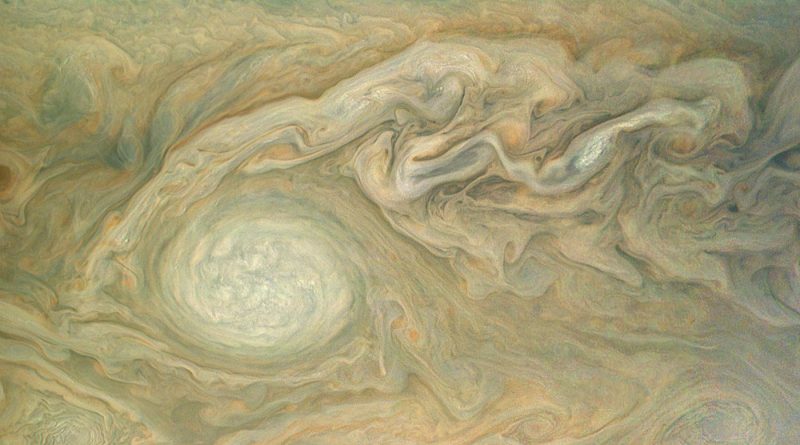 NASA’s released spectacular photos on Friday showing planet Jupiter like never seen before, providing a treasure trove to scientists to learn more about the formation of Gas Planets and offering a look deep into the Solar System’s past. 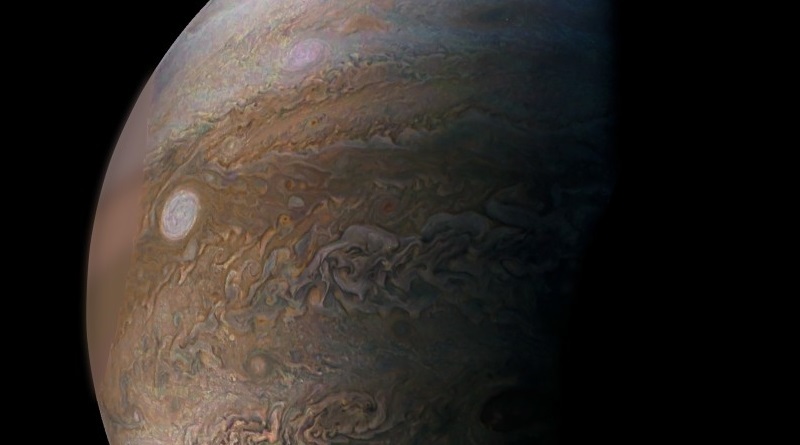 NASA’s Juno spacecraft completed the first of 36 close orbital flybys of Jupiter last weekend after swinging around the planet in a highly elliptical orbit following the successful obital insertion maneuver on July 4. 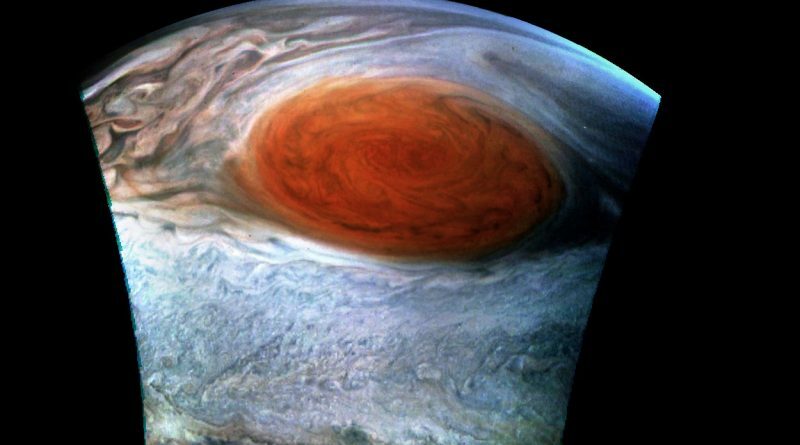 NASA’s Juno spacecraft successfully sailed into orbit around Jupiter Monday night after a five-year journey, becoming only the second craft to enter orbit around the gas giant, coming closer than any previous mission to deliver unprecedented data from a largely unexplored world. 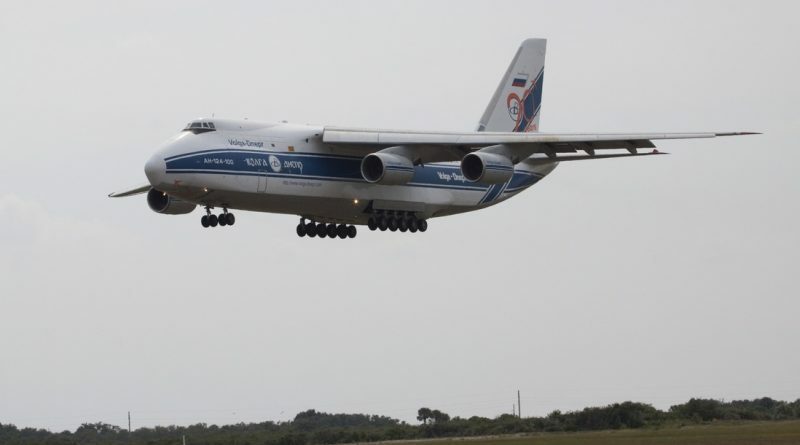 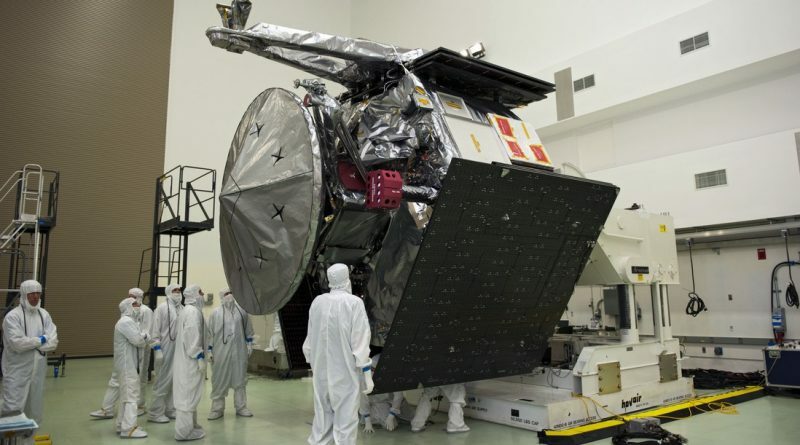 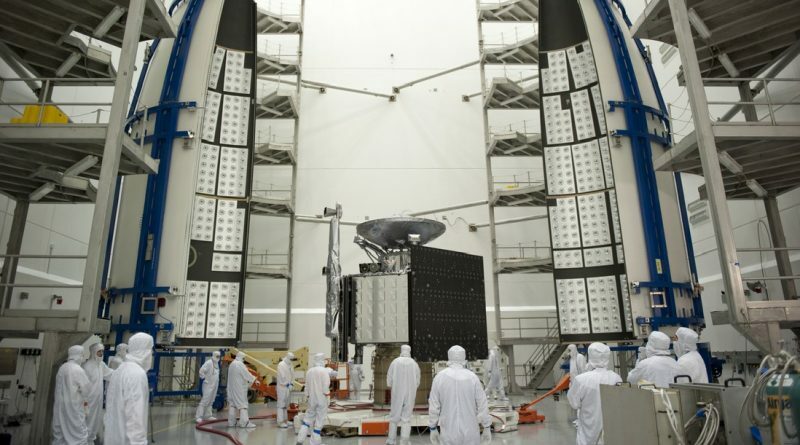 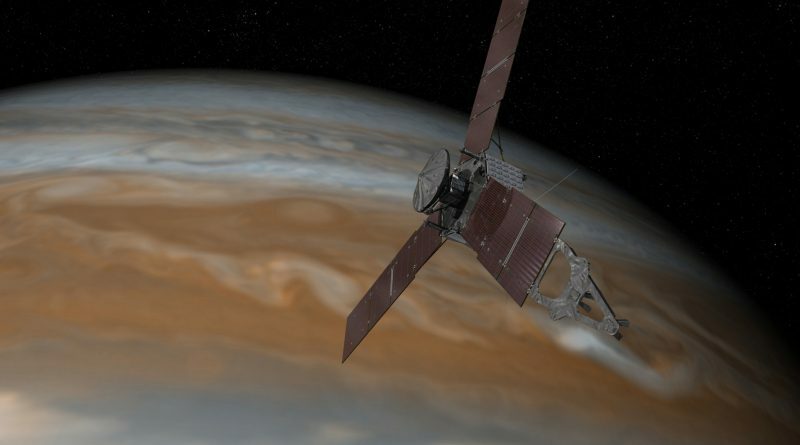 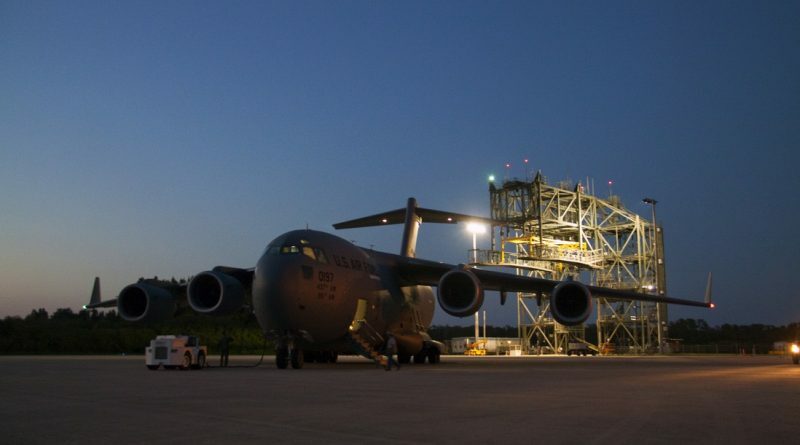 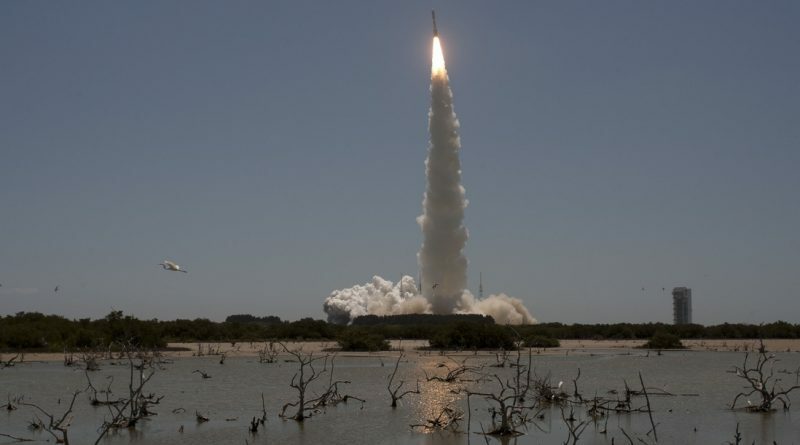 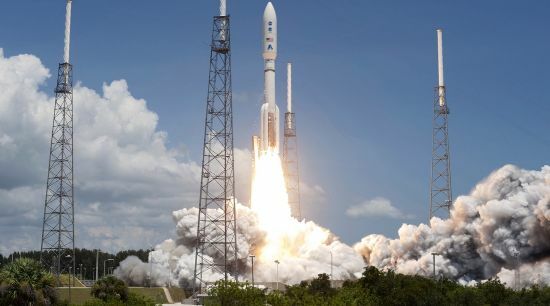 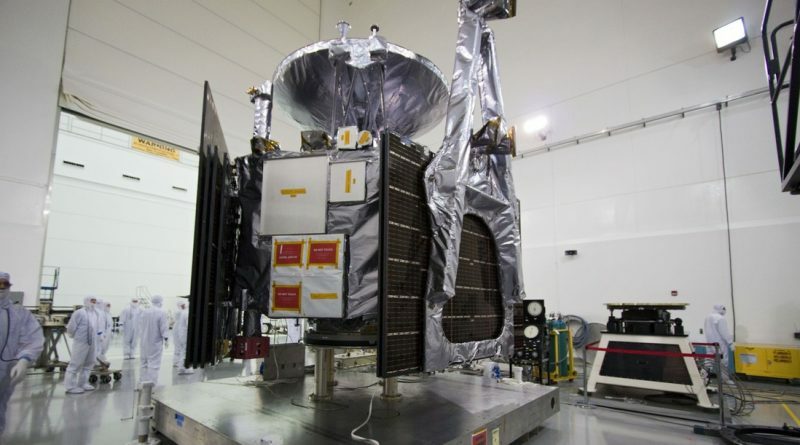 The lucky peanuts were out and all eyes were on the screens at NASA’s Jet Propulsion Laboratory where the signals from the faraway Juno probe showed the spacecraft slowing down to be captured in orbit around Gas Giant Jupiter. 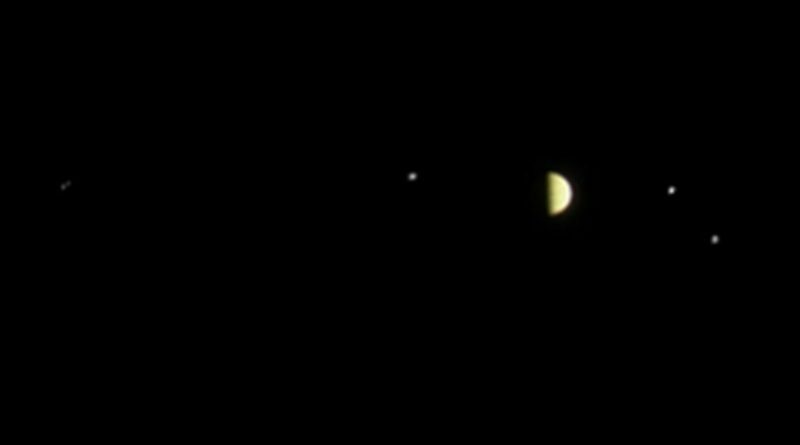 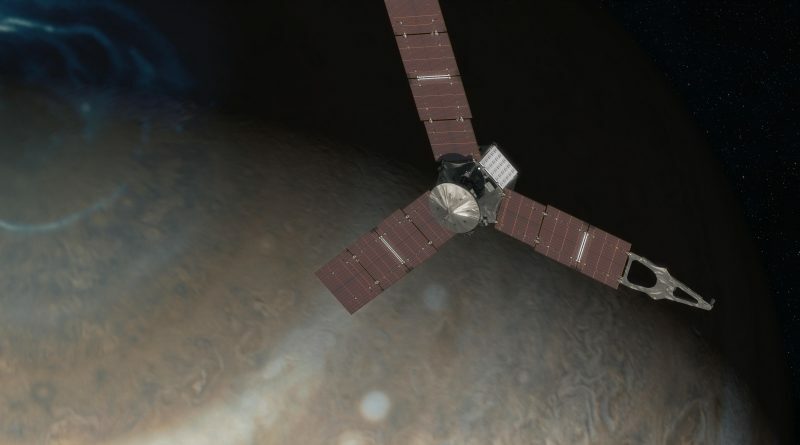 NASA celebrated the successful orbital insertion of the Juno spacecraft Monday night, becoming the second to enter orbit around the Gas Giant after the Galileo mission flown in the 1990s. 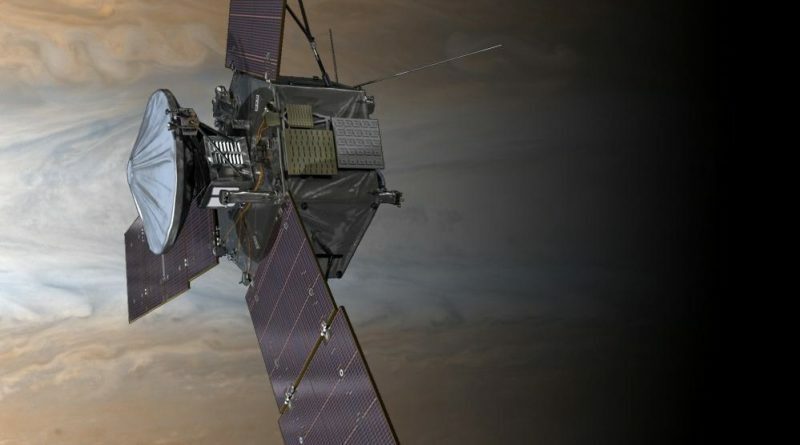 Over a decade of work and $1.1 billion are riding on NASA’s Juno spacecraft igniting its engine Monday night and placing itself into orbit around the largest planet in the solar system. NASA’s Juno spacecraft has received the final instructions from Planet Earth and is now flying on Autopilot in preparation for Monday night’s critical Jupiter Orbit Insertion Maneuver to mark the conclusion of a 2.8-billion Kilometer odyssey through the Solar System. 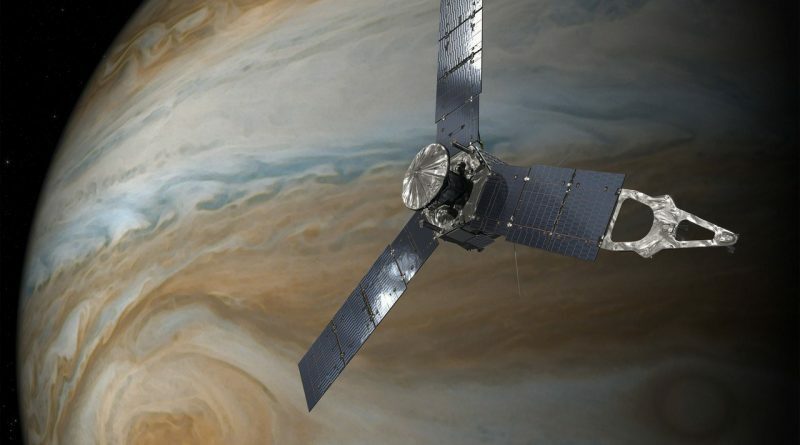 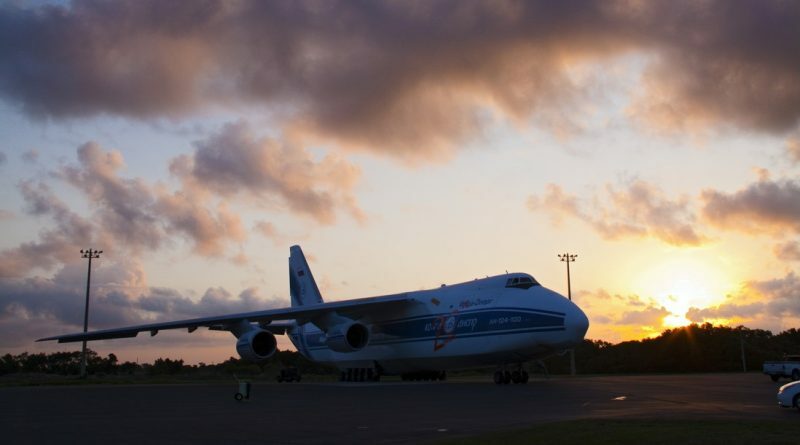 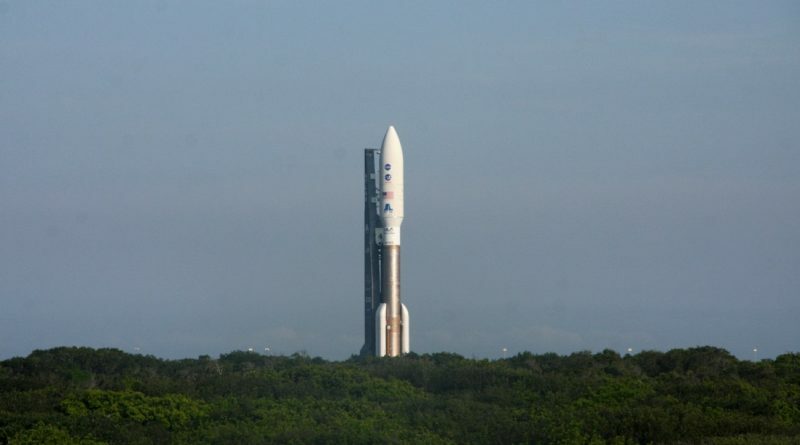 A five-year, 2.8-billion Kilometer journey is about to reach its destination as NASA’s Juno spacecraft is on approach to Planet Jupiter, to become the second spacecraft to enter orbit around the gas giant for an unprecedented mission of discovery. 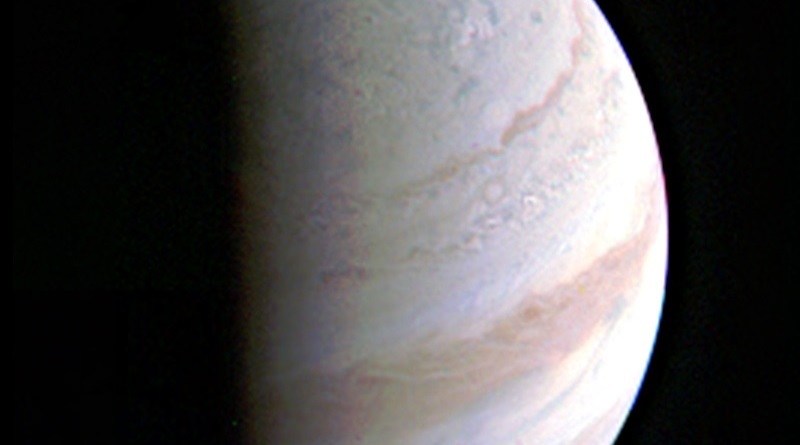 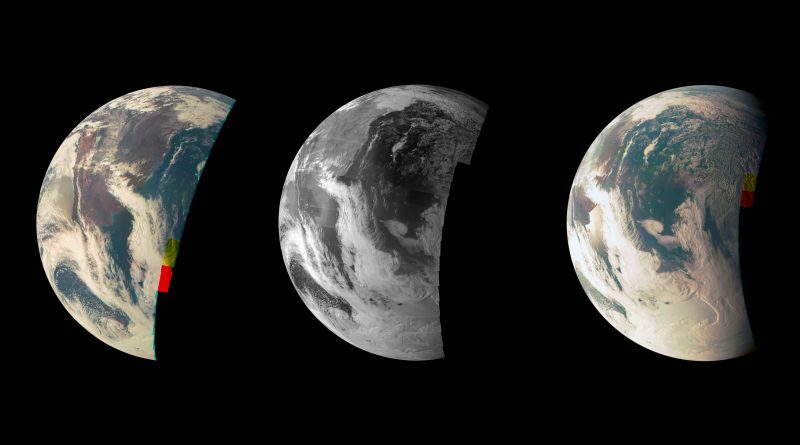 The Juno Mission Team presented science data and imagery collected by the Juno spacecraft during its Earth Flyby that took place on October 9, 2013 and boosted Juno’s velocity to change its orbit in order to reach Jupiter in 2016.